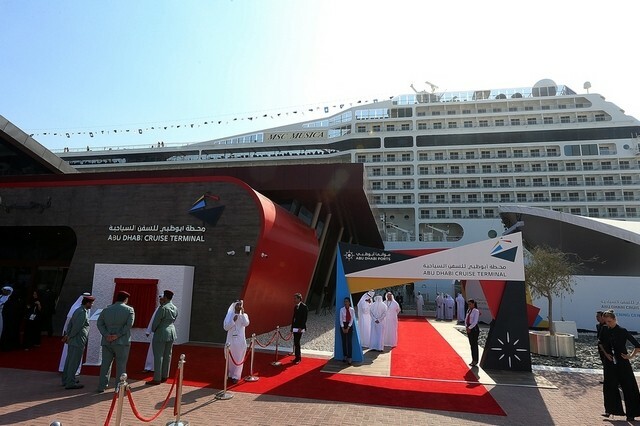 His Highness Sheikh Hazza bin Zayed Al Nahyan, National Security Advisor and Deputy Chairman of Abu Dhabi Executive Council, officially opened the new Abu Dhabi Cruise Terminal. 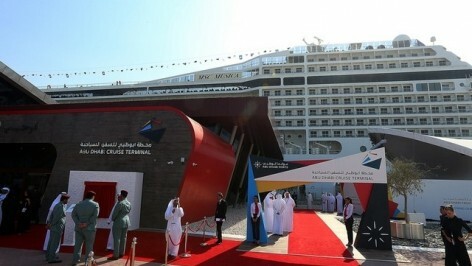 His Highness toured the premises during the opening ceremony of the new terminal organised by Abu Dhabi Ports- the master developer, operator and manager of ports and Khalifa Industrial Zone in the Emirate..
Zayed Port’s new permanent terminal, a major landmark for cruise tourism in the Arabian Gulf, will serve as a major facilitator in boosting the cruise tourism sector which in turn will reflect on the Emirate’s economy. 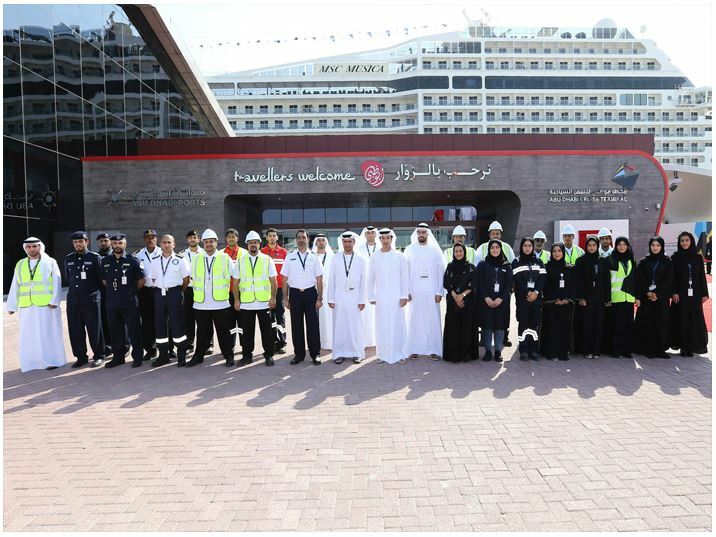 The state-of-the-art terminal will attract international cruise liners to home port at Abu Dhabi, making it their first destination stop within the region and allow passengers to enjoy a longer stay in the Emirate. Commenting on this occasion, H.E. Ali Majed Al Mansoori, Chairman of Abu Dhabi Airports, said: “The new terminal is a testament to Abu Dhabi’s commitment to providing world-class infrastructure and services to support its growing tourism sector. “Our collaboration with our strategic partners has attracted MSC Cruises, one of the top internationally recognised cruise lines to choose Abu Dhabi and Zayed Port as its homeport. This further encourages us to continue investing in building the Abu Dhabi cruise tourism offerings,” added Captain Al Shamisi. Please refer to our Project references for full details of Affan’s role in the design, delivery and installation of the terminals envelope structure, where carbon fiber has played a key role in the external glass facade.